Mining operations a the Greenspring Quarry began in the mid 1800s, and the stone was used to build railroad beds for the transportation of supplies during the Civil War. In later years the mined materials were used for construction of the Baltimore Beltway and other local developments including: Harbor Place, Fort McHenry Tunnel, Johns Hopkins Hospital, National Aquarium, and the stadiums at Camden Yards. 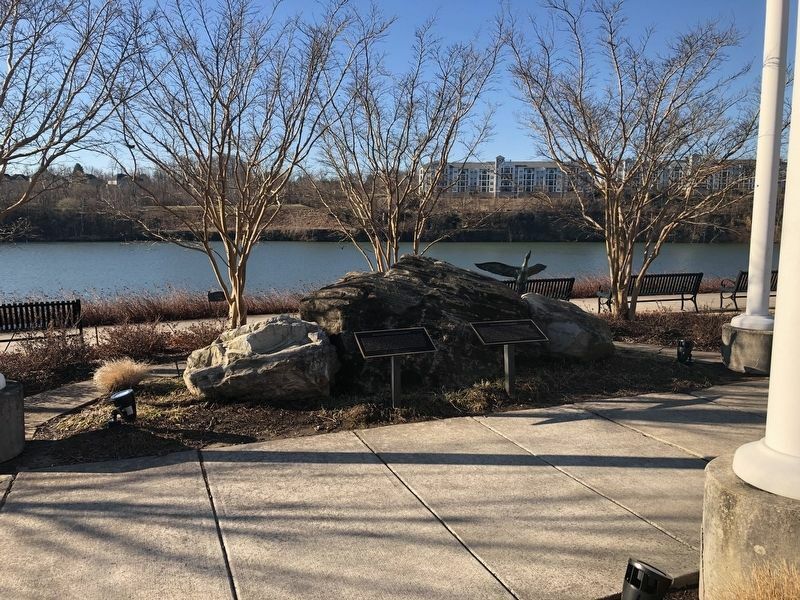 When excavation ended in December of 1999, an estimated 35 million tons of rock had been removed, and the bottom of the Quarry extended to a depth of more than 500 feet (50 feet blow sea level). Location. 39° 23.045′ N, 76° 41.447′ W. Marker is in Lutherville-Timonium, Maryland, in Baltimore County. Marker is at the intersection of Quarry Lake Drive and Travertine Drive, on the left when traveling west on Quarry Lake Drive. Touch for map. Marker is at or near this postal address: 2750 Quarry Lake Drive, Baltimore MD 21209, United States of America. Touch for directions. Other nearby markers. At least 8 other markers are within 3 miles of this marker, measured as the crow flies. Quarry Lake at Greenspring (here, next to this marker); The Garrison Fort (approx. 1.4 miles away); Carroll Hunting Lodge (approx. 1.6 miles away); Rockland (approx. 1.7 miles away); The Old United States Arsenal (approx. 1.8 miles away); First Boy Scout Armory (approx. 1.9 miles away); The Old Court Road (approx. 1.9 miles away); Sudbrook Park (approx. 2.4 miles away). More. 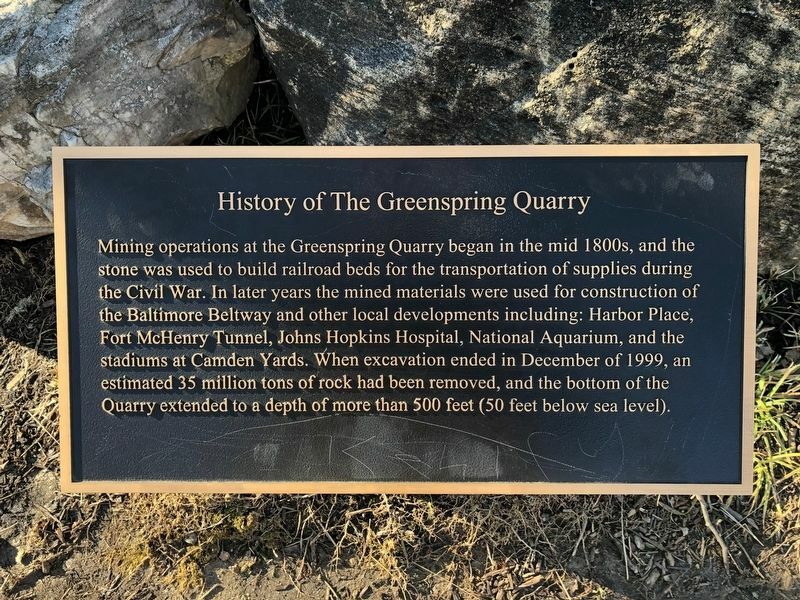 Search the internet for History of The Greenspring Quarry. Credits. This page was last revised on March 23, 2019. This page originally submitted on March 23, 2019, by Devry Becker Jones of Washington, District of Columbia. This page has been viewed 40 times since then. Photos: 1, 2. submitted on March 23, 2019, by Devry Becker Jones of Washington, District of Columbia.